Fox Chase Cancer Center is leading its mission to prevail over cancer, one discovery at a time. The nation’s highest recognition for excellence in nursing. Fox Chase has been designated Magnet since 2000. When appropriate, our doctors treat patients using hypofractionation – a technique quicker than traditional radiation therapy and just as safe. Fox Chase is now offering patients in the East Norriton community access to our world class cancer care. ISP students are problem solvers with the curiosity, intellect, and dedication to conduct cancer research with the potential to impact patients’ lives. Find out about summer programs. What you should know when choosing a cancer center. Search for a specialist that is right for you. The Lung Cancer Screening Program was designed to detect lung cancer early, even before cancer symptoms emerge. No preparation is needed, and the whole process only takes about 15 minutes. You may be eligible if you have been a smoker within the past 15 years and are between the ages of of 55-77. Traveling for cancer care is a significant decision for patients and their families. We understand the emotional and physical challenges a cancer diagnosis can impose, and how difficult it can be to decide to travel for medical services. Our team wants to make your journey as comfortable as possible. 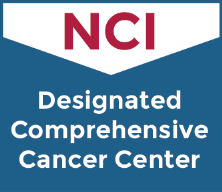 Comprehensive—meaning that we have met NCI standards for cancer prevention, clinical services and research. As a result, Fox Chase physicians and researchers are frequently involved in setting new guidelines for breakthrough medicine and comprehensive care. Fox Chase continues its 40-plus years of designation as an NCI-Designated Comprehensive Cancer Center.